Banner Blindness is the name given to explain one of the reasons that internet users ignore banner ads. In fact Doubleclick has reported that the average click through rate for banner ads in the U.S. is a measly 0.11%. 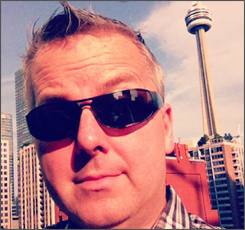 However, this Friday (Sept 13) ad agency ACHTUNG! and Volkswagen will have internet users in the Netherlands paying extra attention to the banner ads on 4 of the country’s most popular web sites, including nu.nl, telegraaf.nl, autoweek.nl, and geenstijl.nl. The agency will bring the banners to life with a live video feed from a local airport runway where 20 x 25 metre versions of the web pages have been reproduced. 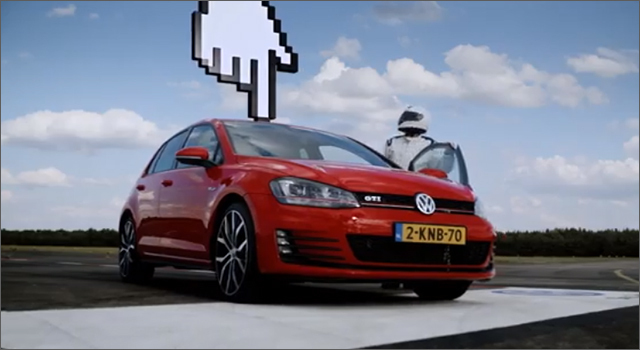 On Friday from noon to 4pm (Netherlands time) a stunt driver will pilot a Volkswagen GTi around the runway, speeding and sliding across the reproductions of the web page and through the banner ads. Internet users with quick reflexes have to click on the car when it appears. At the end of the day, the user with the quickest reflexes wins the car in real life. While only people in the Netherlands can win the car, everyone can test their reflexes at gtibannerbahn.nl.